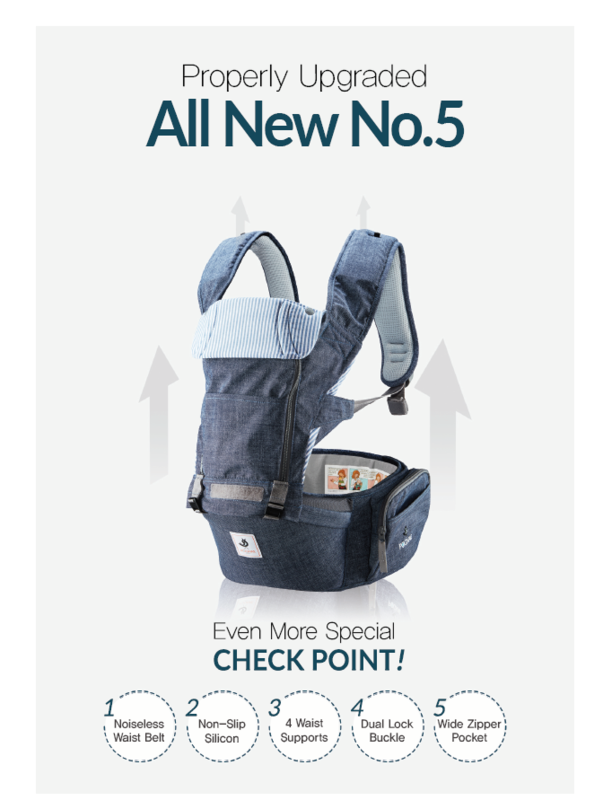 NEW ARRIVAL - the All New Neo No.5 Hipseat Baby Carrier. The All New Neo No.5 Hipseat Baby Carrier is our best-selling No.5 Hipseat Baby Carrier upgraded with innovative features to enhance your babywearing experience. 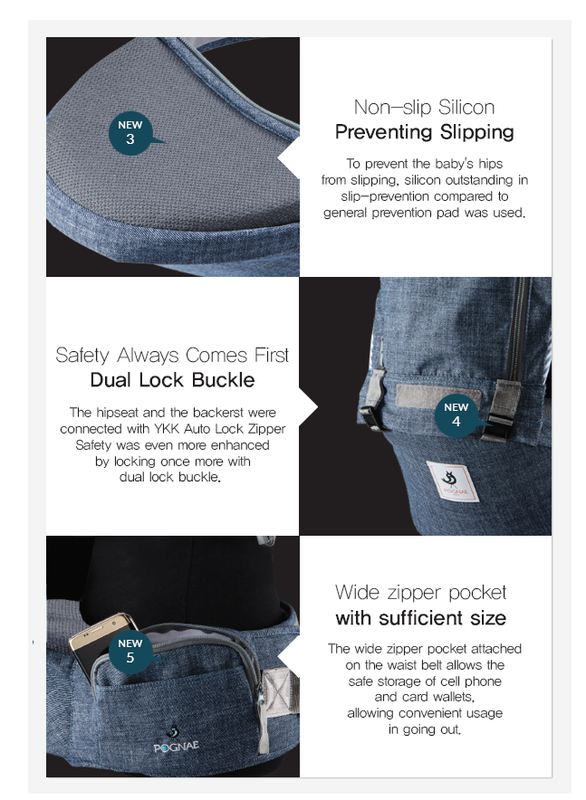 The Neo No.5 Hipseat Baby Carrier is a 'hip-healthy' product as recommended by the International Hip Dysplasia Institute. What's new and different in the All-New Neo No.5 Hipseat? 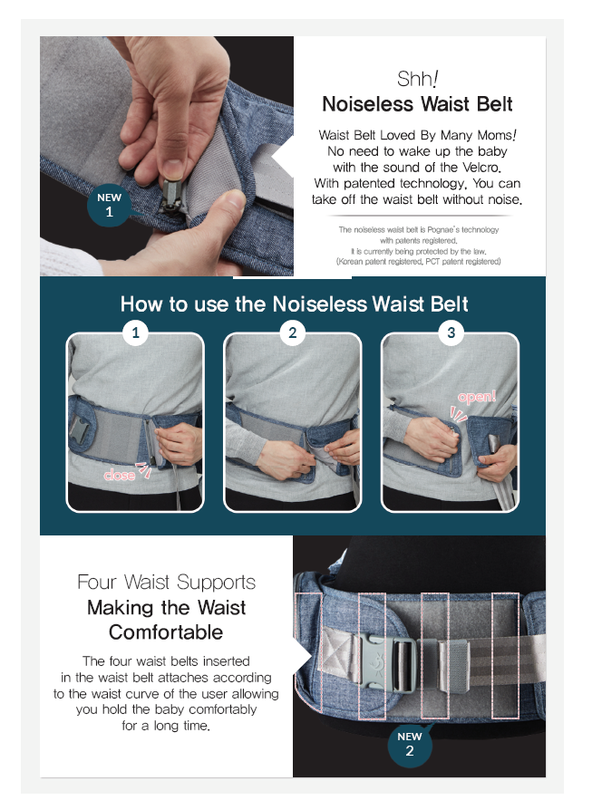 Patented quiet zipper waist belt lets you transfer your sleeping baby to the cot without disturbance. Wider pocket zipper to keep your on-the-go essentials such as phones, cards, cash and keys. Duo-lock buckle for extra security. As with all of our baby carriers, all accessories are included - drool pads, teething pads and two sleeping hood attachments (mesh and organic cotton). Waist Size: Up to 40 inches.